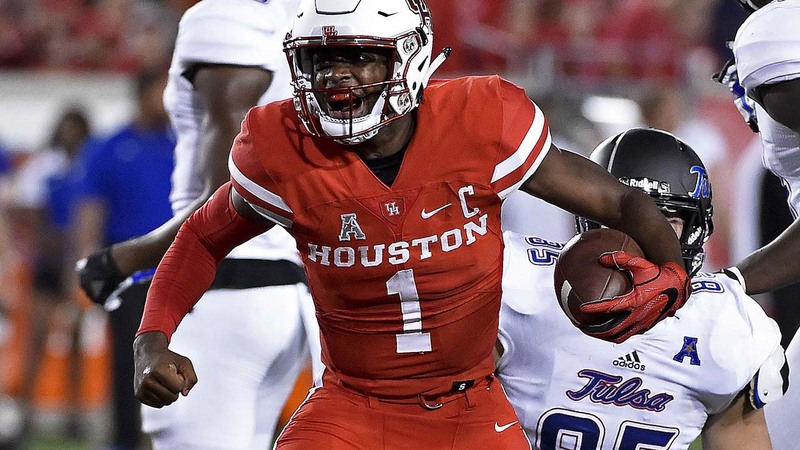 University of Houston has risen to the 11th spot on the AP poll following a win over Tulsa. Michigan moved up to No. 3 in The Associated Press college football poll, right behind No. 2 Ohio State, to give the Big Ten rivals their best combined ranking since the 2006 season, when they played the only 1-vs.-2 game in the series. Alabama remained No. 1 on Sunday with a season-high 60 first-place votes. The Buckeyes stayed No. 2 after an overtime victory against Wisconsin, which fell two spots to 10th. The Wolverines moved up in an off week with Clemson slipping to fourth. The Tigers had their own overtime escape at home against North Carolina State. Michigan has its best ranking since it was No. 3 after losing to Ohio State in '06. No. 5 Washington, No. 6 Texas A&M and No. 7 Louisville held their spots.